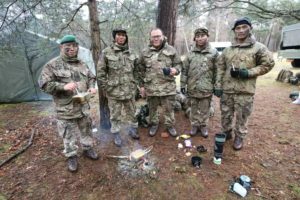 10 QOGLR Regimental Administration Office (RAO) Detachment deployed on Exercise Khukuri Babuji over a period of two days within the Aldershot training area. The aim of the exercise was to refresh basic soldiering skills and enhance the SPS role in the field. It was also to prepare those who are due to attend their Potential Non Commissioned Officers and Career Leadership Management (CLM) courses late this year. 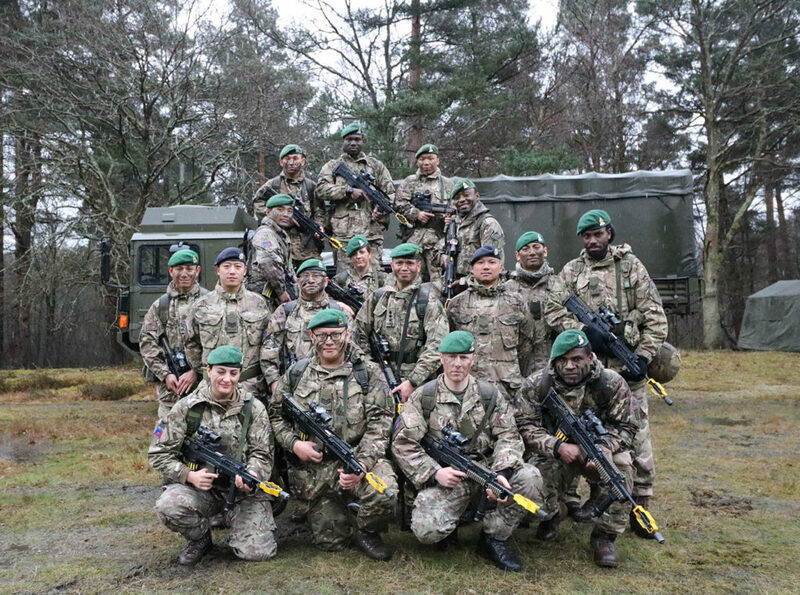 This was the first time that everyone from the RAO Detachment had deployed together on an exercise, so this was an excellent opportunity to uphold the ethos of ‘soldier first’ and also to get away from the office. As they say “It ain’t training, if it ain’t raining”, and the weather played its part to make the exercise more than difficult to deal with. 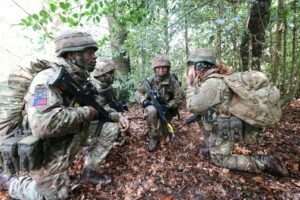 The two day exercise saw the Detachment cover various training objectives which included Human Resources deployed roles and responsibilities, G1 Cell routine, occupation of a harbour location, patrolling, model making, orders, section battle drills and Basic Close Combat Skills. The exercise was invaluable for new members of the Detachment as they got to learn first hand how the SPS do their business in the field. It was also very helpful to Lance Corporal White and Private Sealey who were Section commander and 2IC on the final attack, in preparing them for their upcoming CLM courses. Despite the Regiment’s busy schedule and having to work around various commitments, Sergeant Kishore Rai did a splendid job in organizing the exercise under the direction of the Regimental Administration Officer, which was supported and conducted by the Directing Staff of the Training wing. Exercise Khukuri Babuji was an exceptional training experience and a great opportunity for the team to develop.